G2 Esports defeated Origen in the playoffs of the LEC. The French side won by a convincing 3-0 and sends a strong message to both Origen and Fnatic ahead of the final. The grand finale is all set to be played next Sunday in Rotterdam. G2 Esports has dominated the competition since the regular phase. They finished in first place with thirteen wins and five losses. After the victory of yesterday against Origin, they have sneaked into the final and wait for their next victim. Everyone: Origen actually has a chance. The opponents of the team will be either Fnatic or Origin. 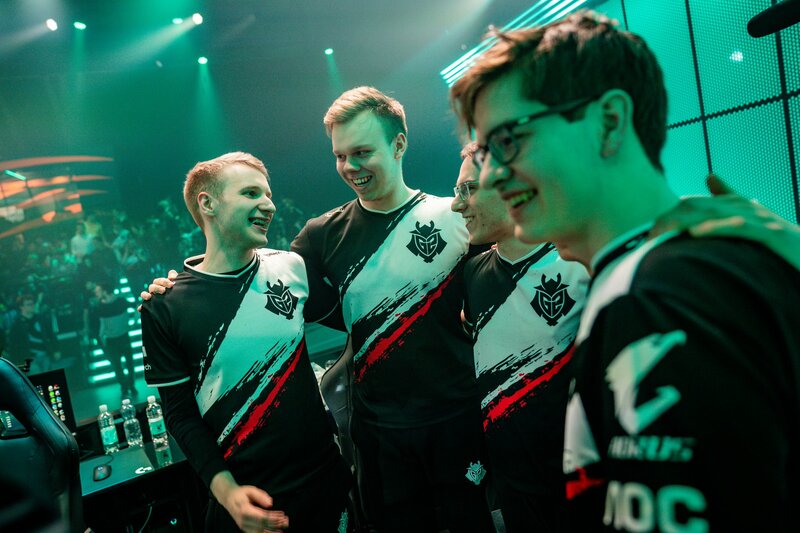 Both of these team made a spectacular run in the last weeks of the LEC. The sides have a week to give there all in training. They will need to prepare some flawless strategies for the semifinal. The team that wins the encounter will play against the almighty G2 Esports in the final. The first game kicked off with a quite aggressive start by both teams. We could easily rate it as one of the best and closest games in the history of playoffs. Since the game lasted for over 47 minutes and it ended with only a 1000 gold difference between the two teams. Origin started the game well the first blood. They got off to a flying start as they got the first turret, first herald, first dragon and first elder dragon of the game. However, the team led by André Guilhoto elected the best coach of the competition a few days ago, could not maintain its advantage against G2 Esports. G2 executed its tactics perfectly in the last fight to robe Origen from the first win of the series. From the second map, G2 didn’t allow Origen to get comfortable. In the game that lasted for 31 mins, Origen was completed outplayed from the first minute. G2 in one of the biggest games of the season completely manhandled Origen. No player on the side Origen could prevail against G2’s talent. In the end, Cap finished 7-1-11 while the ADC Perkz finished the game flawlessly with 4-0-6. Origen: We can win this. The last game of the series was a nightmare for Origen, as G2 eSports beat them in 25 minutes. Even though Patrick gave his all to secure the game of the side as he got the most CS in 15 minutes, 144, it was not enough to stop the Samurai. Wunder utterly dominated the top lane and it was enough to win the series. The MVP title of the match went to Rasmus ‘Caps’ Winther who had an incredible series. He shined in all the three games that his team won. We’ll see what the next week holds for Spring Split. Origen and Fnatic meet in the Rotterdam semifinals. All G2 Esports has to do for now is wait for the winner. After the final, we will know who is the best team in European League of Legends.